Many of us love chatting to our friends on Facebook and some may not like to chat sometimes. But when you are on your phone (be it Android or iPhone) and as soon as you turn on your WiFi or Mobile data, chat heads open up with a bell sound you will definitely hate that cause you may not have interest in texting to the people who message you.One thing I personally hate with Facebook Messenger is when I’m busy in gaming I here my pals messaging who I really don’t want to reply at the moment. 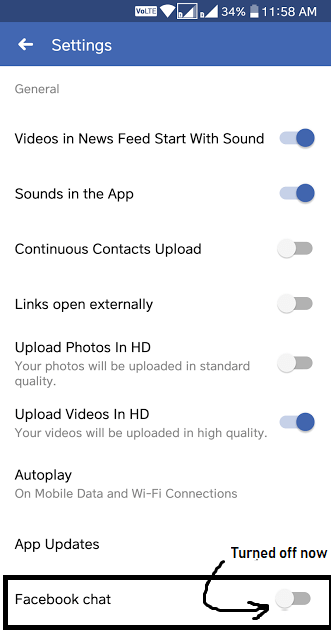 I went through googling several times on this issue but I didn’t find a solution because FB keeps on changing versions of its Messenger Android App and to which it is associated with i.e Facebook Android App. 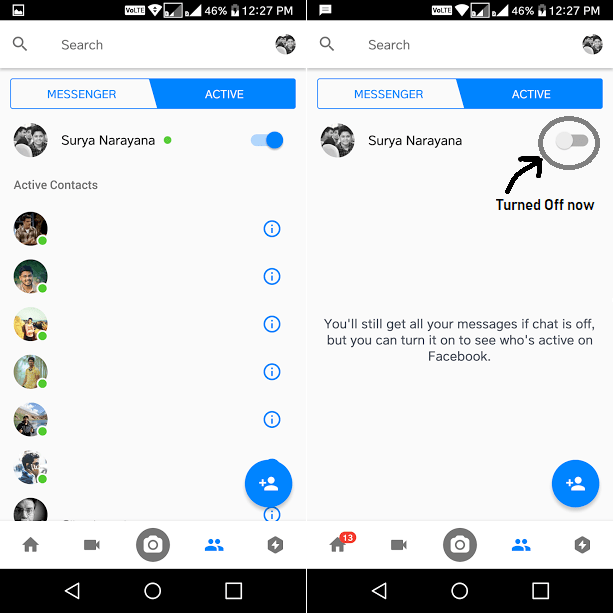 This post has been updated on the recent Facebook and Messenger Apps updates. Facebook keeps on changing a lot of things after every update but still, I feel a lot of things are not perfect. Even if you turn off chat by this method or any other method on the internet, it is still taking a while to show that your offline and it also says that you’re online when someone uses Facebook via Desktop browsers. 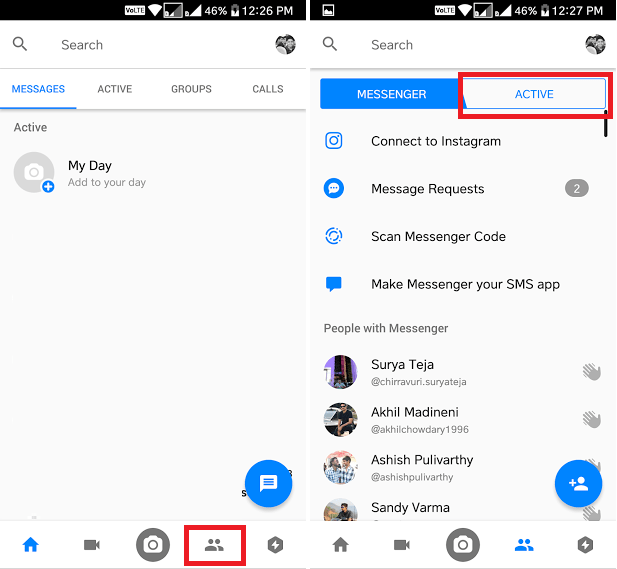 However, this method works fine when the other user uses Messenger App on their mobile phones. 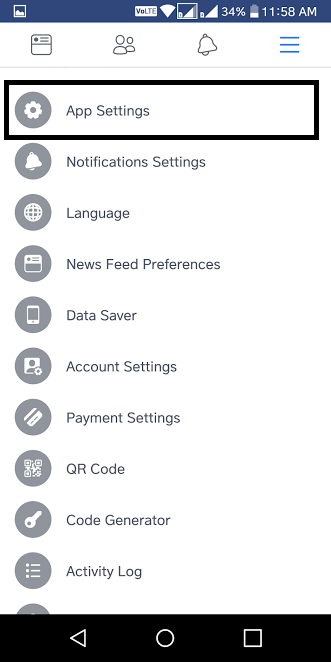 Firstly go to your Facebook App on your Android or iPhone (the UI and methodology are almost the same now) and click on the button to the rightmost end as shown in the screenshot. 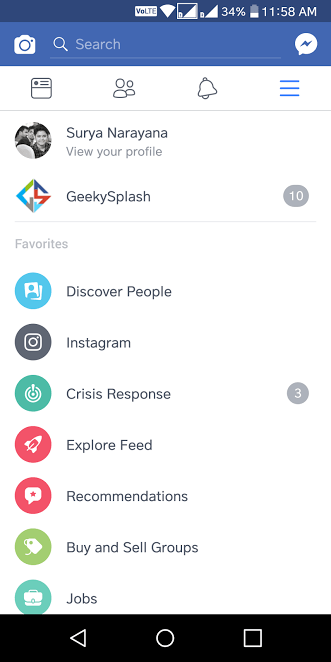 Next, go to your Facebook Messenger App and click on the People button. Then click on Active. You cannot see the people who are online. But when you type a message to some person, and they see that you are online, similar to WhatsApp. As I said earlier, the Facebook and its chat are not perfect. Sometimes I still get messages from people when I’m using Facebook App and kept both Messenger and FB offline. However, this is the best shot and the only thing you can do to turn off chat on Facebook Messenger. Previous article Dev-C++ “g++.exe has stopped working” – Fix Error in Windows 8/8.1/10. Next article 7 reasons to choose Asus Zenfone2 as your next phone!